I have in front of me a weathered copy of Cecil's Textbook of Medicine from 1947. It belonged to my father, who graduated from medical school in the 1940s. Even then, it was known that pneumococcus, a common bacterium, can live harmlessly in the nose and throat and only sometimes causes disease. Pneumococcal disease was and is still a leading cause of disease and death*, killing perhaps a million children per year. It causes ear and sinus infections, but also meningitis, and is the most common cause of pneumonia. In the past it was referred to as "the captain of the men of death" for its ability to claim so many. It is also closely associated with influenza; the pneumococcus that may live harmlessly in the mouth may find the damaged lung of the flu patient a nice place to set up shop. The pneumonia that follows an influenza infection can be devastating and preventing it is an important public health goal. The bacteria itself has been known for over a century, when it was discovered by U.S. Army doctor George Sternberg in a frontier post in 1881. A couple of decades later, sera were developed to fight the disease. There were no antibiotics at the beginning of the 20th century, and as influenza killed millions, often of pneumonia, scientists were working feverishly (and often dying) trying to save lives. They discovered some of the most important serotypes of pneumococcus, created serum from horses, and injected it into sick patients with significant good results. The discovery of antibiotics significantly changed the pneumonia landscape. According to Cecil: "The role of pneumococcal infections as a cause of death has been amazingly diminished by the introduction of sulfonamide and penicillin therapy." A fascinating report in the journal Chest was published in 1943 and described the treatment of pneumonia with sulfonamides in the Panama Canal Zone. The mortality rate for treated patients with confirmed pneumococcal disease was 1%, something unheard of until then. "In many cases there is no definite crises, but the patient's temperature comes down gradually by lysis ..."
He goes on to describe the course when there is no crisis or lysis--death by sepsis, although he doesn't use that word. Today, even with antibiotics, pneumococcal diseases remain an important cause of illness and death. But we have another weapon: vaccination. Pneumococcal vaccines have been around for a long time, and the current vaccine protects against 23 strains accounting for about 90% of pneumococcal disease. The vaccine does not prevent all pneumococcal disease, but it does prevent the most severe complications. The New York Times is now reporting that pneumococcal vaccination has the potential to prevent complications and death during the current pandemic. It should be old news, but the CDC is reporting a spike in cases, especially in young people. Pneumococcal vaccination, which is recommended for those over 65, is also recommended for many groups of young people, including smokers. Improving pneumococcal vaccine rates in recommended populations has a real potential to save lives during this pandemic and during subsequent flu seasons. With flu vaccines being sporadically available, pneumococcal vaccines, which are widely available, can help save lives. I don't think Cecil would have been surprised, but he certainly would have been pleased. Cecil, Russell L. A Textbook of Medicine. Saunders, 1947. Barry, John M. The Great Influenza. Viking, 2004. Browne SM, Marvin HP, and Smith ER. 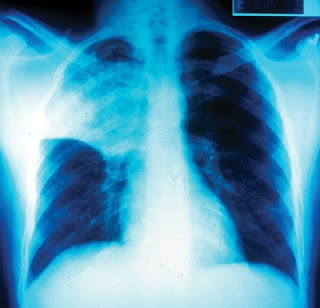 Sulfadiazine pneumonia therapy in the canal zone. Chest, 1943;9;297-301. Each year in the United States, there are an estimated 175,000 hospitalized cases of pneumococcal pneumonia; it is a common bacterial complication of influenza and measles. In addition, in terms of invasive disease, there are more than 50,000 cases of bacteremia and 3,000 to 6,000 cases of meningitis annually. Invasive disease bacteremia and meningitis is responsible for the highest rates of death among the elderly and patients who have underlying medical conditions. According to the Centers for Disease Control and Prevention (CDC), invasive pneumococcal disease causes more than 6,000 deaths annually. More than half of these cases involve adults for whom vaccination against pneumococcal disease is recommended.